New players are the lifeblood of a successful WPN store. Consider how you'll acquire new players consistently, how you'll help them learn the game, and how you'll encourage them to come back for more. Do I have a strategy for attracting new players? Is my store set up well for introducing new players? How did I or my current players learn to play Magic? It is important to have a strategy to acquire new players from several sources: your existing in-store community, your outside community, and walk-ins. In-store community. Many WPN retailers consider "word-of-mouth" marketing an integral part of their marketing strategy. However, word-of-mouth marketing is not effective without a structure to support it. Generate new contacts by implementing a Bring-a-Friend program to reward your regulars for inviting new players to your business. Give a new player something simple like a booster pack just for trying out the game, and a booster pack to the player who brought them along. Outside community. Establish a friendly relationship with a local community center, such as a library or school. Position your store as a safe space for players to go when they want to learn a game like Magic or Dungeons & Dragons. Post flyers and advertise learn-to-play events to spread the message. You can use this letter template as a great first step to reaching out to a local school or library. Walk-ins: When new players come to your store to learn Magic, be prepared! Make sure you and your staff know how to run demos for Magic on-demand and during learn-to-play events for the community. Does everyone on my staff know how to teach Magic? How do I typically teach Magic? The best demos are quick, easy, and fun. If you don’t have Welcome Decks, contact Retail Support and we’ll ship you some free-of-charge. When you have a new player that is interested, it's best to use one of these decks to play a short game. Here’s our quick-and-dirty advice for demos. Make it easy to understand. Put the game into the context of two wizards battling. One big appeal of the game is the immersive fantasy. Don’t feel too pressured to explain all the rules in the beginning, just jump into the game. Keep it quick. Most games of Magic start with twenty life points, which is balanced for normal play. A demo only needs half that, so start with ten life instead. Provide a follow up. Give the complete Welcome Deck to the player at the end of the demo and invite them to return to a regular Casual event to continue playing. The Welcome Deck is Standard-legal, so the next best step is to direct them to an event they could join with the cards they now have. Provide the player with your calendar of events and talk about your community of players they can join. For a more comprehensive walkthrough of a demo, check out this article by Magic designer Gavin Verhey. What do I typically recommend new players purchase? What do I currently have stocked for new players? How does my store help new players build collections? The follow up is arguably the most important part of acquiring a new player. Keep in mind that the more accessible your events are for newer players, the more likely a player is to return to join your community. The events with the lowest barrier to entry are Standard-friendly, since they utilize the most accessible products—new ones. This is the best first purchase product for new players. It’s affordable, eye-catching, and allows them to play right out of the box. Keep this product at eye level and near other new player products. The Core Set Planeswalker Decks also pair well with the free Welcome Decks. Ideally, you can set up casual Standard events that invite players to join using these preconstructed products. It makes for an easy way for a player to join in on your organized play offerings. 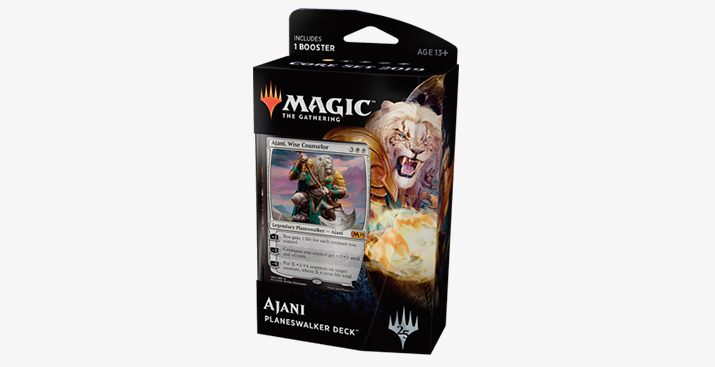 This product contains everything a new player needs to build their first Standard deck, as well as a box to keep their cards. We recommend this as a second purchase after the Planeswalker Deck. 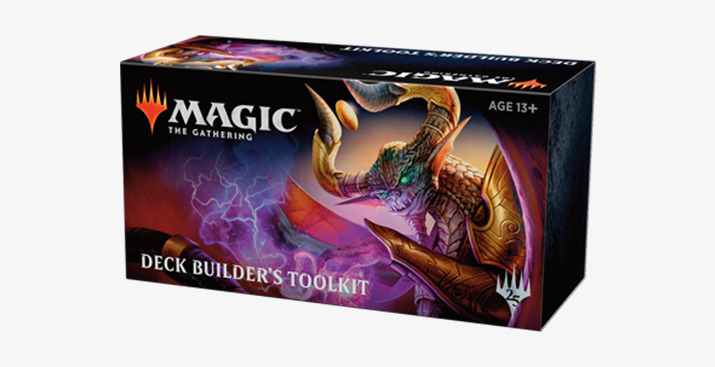 Some stores have organized Deck Building Workshops, where the entry is a Deckbuilder’s Toolkit and players learn to build a deck and have fun playing it against other players. Many players can often be intimidated when they come to learn Magic at a game store. After running a demonstration, let the player know about Magic: The Gathering Arena. It’s free to play and features a comprehensive tutorial. The player could try it out in your store if you have a computer available, or you could invite them to come back to your store to join an event when they feel a bit more confident in their skills. Set your store up for success and strive to acquire new players. Here are our top talking points. Have new player programs in place. Every contact you have with new players should have vision and intention, as well as a clear follow up. Have a demo plan. Have your staff know how to teach Magic. Keep your Welcome Deck inventory stocked and ready. Keep your new player product/event recommendations Standard-forward. Keep barriers to play low. Make it easy for a new player to know how to join your events quickly. If you have any questions about the new player path or want to discuss your ideas with us, contact your Retail Development representative.